A Note from our President, Tim Dean – Pro Poly of America, Inc. I am writing this just before departing for a month of Army training in an OCONUS environment with my US Army Reserve unit. 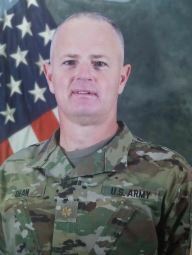 While it is a bit taxing as a citizen soldier to prepare for extended annual training, I am reminded that it is a privilege to serve as a reservist in the World’s greatest Army, and I really am grateful for the continued opportunity the Army has given me. And, even though it is a slight challenge to prepare for and then leave on an extended time away from the office for duty out of the country, I know this challenge is at most a slight inconvenience; and it is not on the same par as many others who have performed very difficult duty for much longer time periods and in more dangerous, stressful and uncomfortable locations. So, I will head out this week with my unit and get this training finished to the best of our ability. While I am gone, our company will continue to operate with a full steam of energy from our wonderful staff. We have very dedicated men and women on our team who take our company mission statement seriously; they work hard each day to deliver to our customers with the highest quality plastic fabricated products, and they are proud to provide utmost customer service along the way. While I will most likely have a more limited access to emails while I am out of the office this month, I would still enjoy hearing from you if you have any ideas, suggestions or thoughts about our business and anything we can do to improve it. If you need me for something more urgent and I do not reply for a longer period than normal, please reach out to our Executive Assistant, Dianne at Dianne@propolyamerica.com. Once again, thank you for your business. We appreciate the loyalty of our great customer base. We are committed to you to build quality products on time, in a timely manner and at competitive prices.